Distributed ledger technologies (DLT) are disrupting and transforming existing markets in multiple industries. However, in our opinion there are five fundamental obstacles to overcome before distributed ledgers can be widely accepted and adopted across every industry and geography. In this paper we will examine these obstacles, and discuss why Hedera hashgraph is ideally suited to be the world’s first mass- adopted public distributed ledger, supporting a vast array of applications. Introducing Hedera – a governing body and public hashgraph network designed to address the needs of mainstream markets. Hedera will be governed by a council of renowned enterprises and organizations, across multiple industries and geographies. Its vision is a cyberspace that is trusted, secure, and without the need for central servers. Its licensing and governance model protects the community by eliminating the risk of splitting, guaranteeing the integrity of the codebase, and providing open access to the protected core. All Governing Members will have equal governing rights and each Governing Member (with the exception of Swirlds, Inc.) is expected to serve a limited term, ensuring that governance is decentralized. 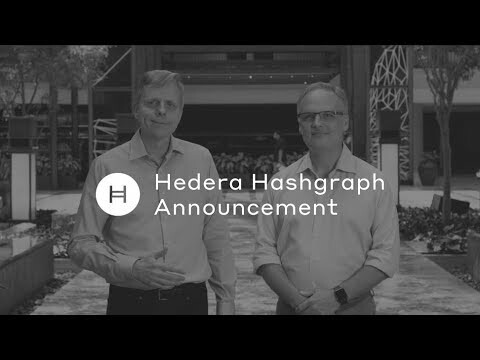 I really believe Hedera hashgraph will provides a new kind of dicentrized consensus whose way for people who don't know or trust each other to securely collaborate and transact online without the need for a trusted intermediary. Hashgraph doesn’t require compute-heavy proof-of-work.